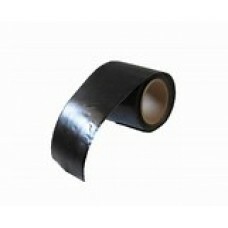 Contains various colors and sizes of Adhesive Repair Tapes. Super Kwik Patch Repair Tape - 6" X 5' Roll - Black. This is Adhesive Tape. Clean surface with a..
Super Kwik Patch Repair Tape - 6" X 5' Roll - Blue. This is Adhesive Tape. Clean surface with al..
Super Kwik Patch Repair Tape - 6" X 5' Roll - Gray. This is Adhesive Tape. Clean surface with al..
Super Kwik Patch Repair Tape - 6" X 5' Roll - Green. This is Adhesive Tape. 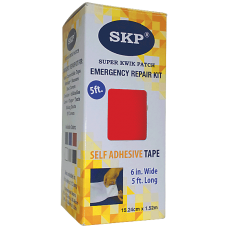 Clean surface with a..
Super Kwik Patch Repair Tape - 6" X 5' Roll - Red. This is Adhesive Tape. 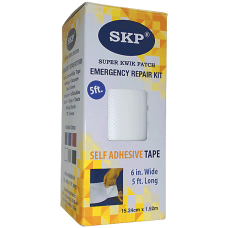 Clean surface with alc..
Super Kwik Patch Repair Tape - 6" X 5' Roll - White. This is Adhesive Tape. 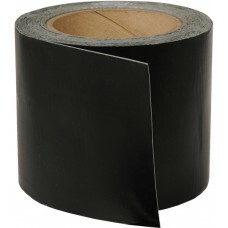 Clean surface with a..
Tarp Repair Tape 4" X 25' Roll - Black. Applies in rain and cold weather temperatures. This is Ad..